We celebrated the first day of spring today with a snow day for the kids. We are still below zero here so I am still all about the soups and stews. If you are having warmer weather and don’t feel like soup, I don’t want to hear about it. This recipes makes use of a quick stock–all of the veggie trimmings stuck in a pressure cooker to make a tasty broth. Using the onion skins helps give the stock a rich colour and flavour, so make sure everything is well-washed. As noted below, you can use this recipe to make an Irish Stew should you be so inclined. Two for the price of one! 1. Cook the barley: put rinsed barley in a pot and cover with 2 inches of water. Bring to boiling, then reduce heat, cover, and simmer for 30 mins. Drain before adding to the soup. 2. 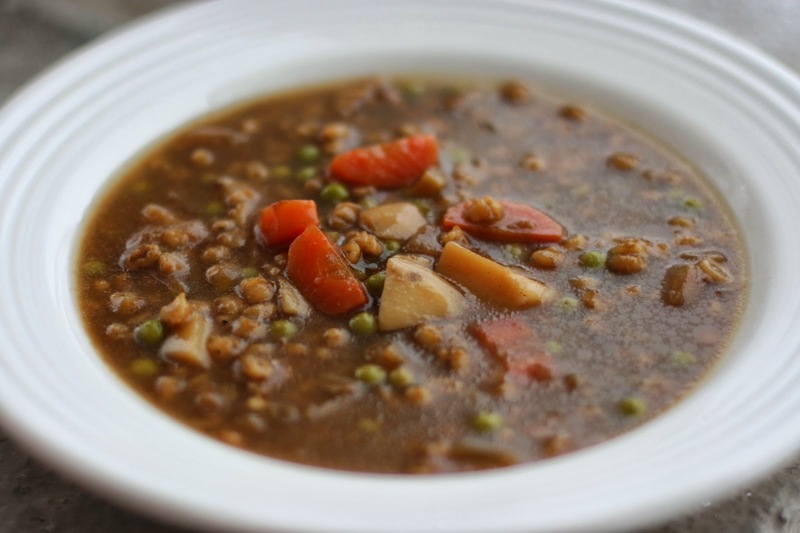 Make the Quick Stock: while the barley is cooking, put all of the stock ingredients in a pressure cooker and cook for 30 mins. Pass through a strainer before adding to the soup. 3. Make the Soup: Heat the oil in a stockpot somewhere between med-lo to medium heat. Sauté the onions and celery for 15 mins, or until they are a deep brown, stirring regularly. Don’t burn them, so watch your heat. If they are not a nice brown colour, keep going for another 5 mins or so. 4. Add garlic and sauté for 1 min. Add the spices and fry for 1 min. Add potatoes and carrots and mix well. 5. Add the strained stock, cooked and drained barley, and the sauces. Bring to bubbling over high heat, then reduce to low, cover, and simmer for about 30 mins, or until the veggies are tender. Add peas and heat through. Season to taste with salt and pepper and serve. No real recipe here, but rather some suggestions of how to use this recipe as the base for an Irish Stew. Reduce the barley to 1/4 cup, add another onion, and more potatoes and carrots. Add some sage to the spices. Add a protein source: tofu cubes, seitan chunks, possibly white kidney beans. Up the water to about 12-13 cups. Add some beer to the mix. Cook uncovered to reduce the stew down. 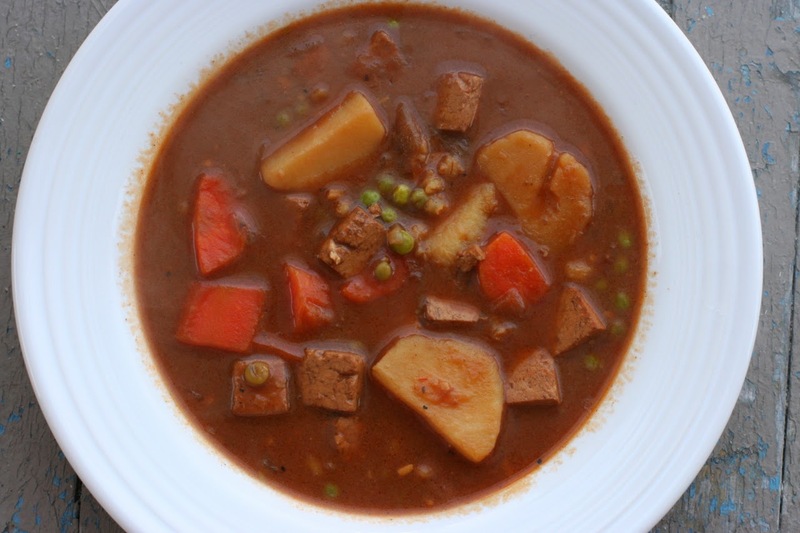 Thicken the stew after the veggies are cooked by mixing flour in with some soy milk and adding to the stew. Add a few tbsp of tomato paste for a richer sauce. 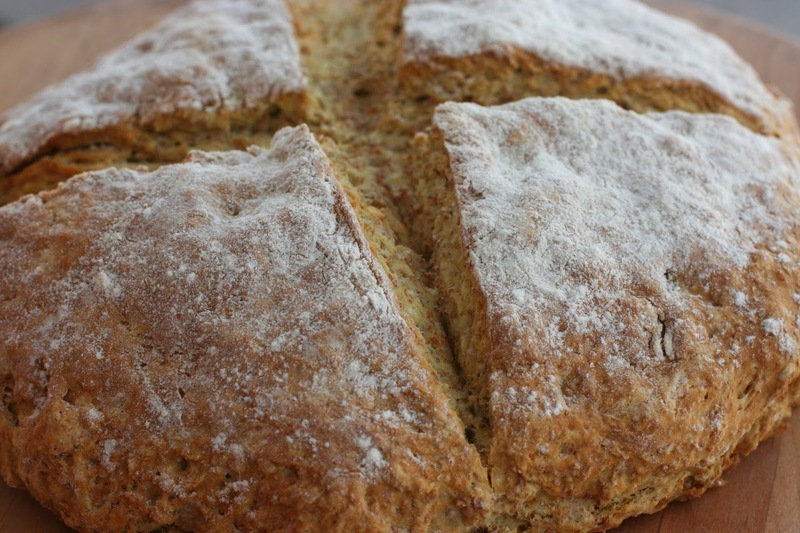 And make some soda bread!